Bret Feig and I have been talking since around May 2018. Since that time, we’ve both had new babies, posted multiple videos on YouTube about tools and scraping, and been nerding out about JSON and which element or selector to use. I wrote an article a while back about bridging the gap between sourcing and programming. I can see the bridge now; the bridge is here. There is no gap, there is no spoon, and the beauty of this open source community is that this knowledge is shared, adapted, and grown into something new. Bret and I do this on a constant basis, one of us shows the other one thing, and the other (usually Bret to be honest) expands on it. It’s the essence of building something out of nothing. This is the future of sourcing. And the lessons learned are enriching my tool stack has shifted entirely to include webscraper.io solely from watching Bret’s video. The additional functionality and customization, once you get past the learning curve, is mind-blowing. To click on a profile, albeit multiple times, and extract fields and fields of information takes data extraction to the next level. And the fact we can import and export our work and share our “code” (even though we aren’t coders) makes the steep curve subside. And also, there’s Bret’s Facebook Group is focused on troubleshooting sourcing specifics with Webscraper.io. I still don’t fully understand the element selectors yet, but I know I’ll catch up to Bret. The funny thing is, back in May, he was asking me about my videos and where to post his Untech vlogs. So, without those nerdy YouTube videos, we may have never met. And the best part is that we can show you too. These kinds of interactions happen all the time at SourceCon. Bret and I are going to shake hands IRL in the ATL, and the convo will probably end with us pulling out our laptops and scraping something. SourceCon opens doors like this, massive doors, wormholes even. If you want to see what an ROI looks like, look at some of the recent articles out now. I’m so glad to see articles by folks like Kay Kelison, new vids by Dean Da Costa and tools like Rolebot, Seekout, and ZapInfo read what we write and listen to our challenges. 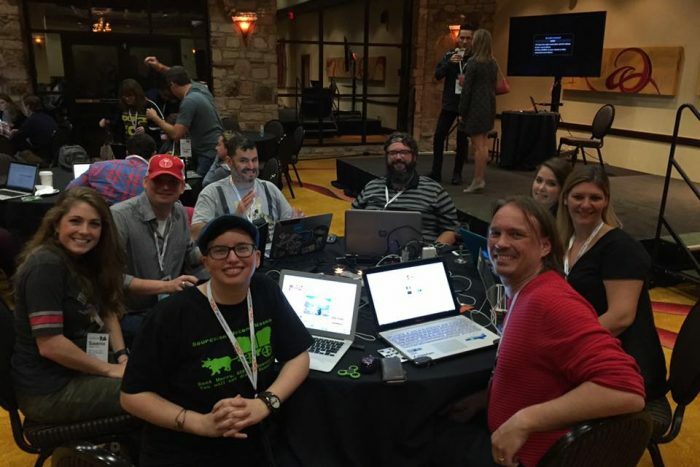 The Hackathons being built by Mark Lundgren, Susanna Frazier and Sarah Goldberg are inspired from SourceCon’s Hackathon. The #SourcingIRL Thing a Week and 5minHacks were inspired by The SourceCon Roundtables (and DIY slime videos). We build recipes, sitemaps, scrapers, and other tools because of the lessons learned on and off the SourceCon floor. Impress your boss, scare yourself a bit, and become the Sourcer you are meant to be, and use all of this to help. The best tool for me is not a chrome tool it’s the interactions we get to have with y’all, with folks like Bret, the Scrapers, Hackers, and even the Hufflepuffs. For me, this all started with one conference and the thirst to learn. See you at SourceCon!